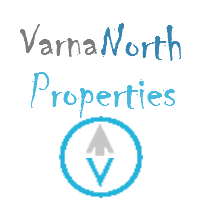 Varna North real estate offers for sale two bedroom apartment with sea view in a complex of apartments on the northern coast of the Black Sea in the beautiful city of Balchik. The complex is a holiday home, but at the same time it is very suitable for the whole year. 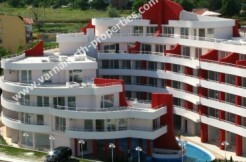 It is located in a very quiet place with quick access to the main street Balchik-Albena. The sea is 700 meters from the complex. 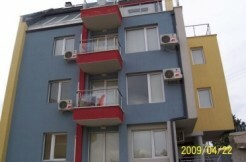 The apartment is on the 4th floor in a 6-storey building and has a total area of ​​86 sqm. The apartment has a functional internal distribution: living room with dining area and kitchen, 2 bedrooms, 2 bathrooms with WC and a large terrace with a wonderful view of the sea. The apartment is completely finished and fully furnished for sale! The apartment has many additional improvements – kitchen with built-in appliances, inverter air conditioning in every room, cable TV and internet. There is a lift in the building! 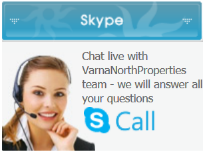 The complex has year round security and a concierge. Common parts are very well maintained. The complex has an outdoor pool, green areas and parking, laundry and gym. The complex was put into operation with Act 16!